Financial assistance to meet your needs. Where can you find resources like FREE SAT workshops, college scholarships, mentors, advocates, insight and support as you prepare for college? The HBCU Council has activities and programs designed to help you be the best you can be on your path to college and especially to attending an HBCU! Hear from experts in admissions, academic requirements, and financial aid. Celebrate HBCUs, plus sororities and fraternities. Hear dynamic speakers and an HBCU choir. 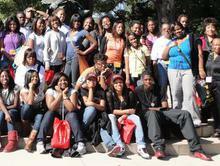 Why Choose an Historically Black College or University (HBCU)? Are HBCUs still relevant institutions? Founded to provide a college education to African Americans who were denied access to public and private institutions of higher education, HBCUs served a critical purpose at their inception. They were indispensable in uplifting people from the status of second-class citizens to the position of equal and full participating members of the American Republic. But that was then. What about today? 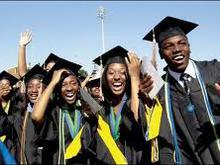 Do students still benefit from attending and graduating from an HBCU? Most students today attend racially mixed high schools. 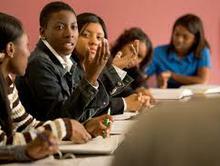 Both majority and minority institutions recruit top African American students. So why choose an HBCU in today? First and foremost, your choice to go to college has a significant economic benefit to you, and that includes choosing an HBCU. On average, you will earn one million dollars more over your lifetime with a college degree than if you compete for jobs with only a high school diploma. HBCUs are home to some of the nation's most diverse student and faculty populations and are leading the way in recruitment, retention and graduation of Latino students. The rich tapestry of ethnicities and experiences found at HBCUs is not only among the student population. HBCUs have historically had some of the most diverse faculty in the nation, and staff and administrators reflect that same commitment to diversity, preparing our students for the real world of diverse populations not just in the U.S. but also globally. Those seeking to diversify their institutions and businesses look to HBCUs first. This has been one of the most consistent testimonies heard from both recruiters and graduates. Particularly telling are the testimonies from individuals who have matriculated at an HBCU and a predominantly white institution (receiving a bachelor's degree from one and an advanced degree from the other). They testify to the fact that recruitment and pre-recruitment opportunities are more abundant for HBCU students than for African American students matriculating elsewhere. While the 105 HBCUs represent just three percent of the nation's institutions of higher learning, they graduate nearly one-quarter of African Americans who earn undergraduate degrees and have a huge impact on those graduating with advanced degrees. Over half of all African American professionals are graduates of HBCUs. More than 50 percent of the nation's African American public school teachers and 70 percent of African American dentists earned degrees at HBCUs. The astounding list of change agents, social servants, artists, and intellectuals produced by HBCUs changed the educational paradigm in the U.S. in numerous ways, not the least of which was the fact that lead attorney on the seminal case, Brown vs. the Board of Education, was Thurgood Marshall, who earned his undergraduate degree from Lincoln University, the oldest HBCU, and earned his law degree in 1933 from one of the most famous HBCU's—Howard University. 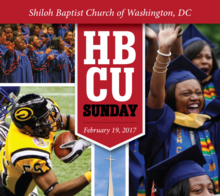 In summation, rather than asking "Why attend an HBCU," the better questions is "How can a student who wants a quality, 21st century education from a proven institution, with generations of expertise, community support, dynamic school spirit, legendary athletics and marching bands, and a global network of alumni, choose anything but an HBCU?"